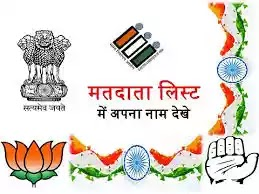 CEO Gujarat Voter List 2019 Free Download Lok Sabha Election Dates are announced. Now, Voters Must prepare themselves. The most important thing voters need to do is, to ensure that their name exists in the Voter List. This article specifically explains the process of Checking Naming in Gujarat Voter List. If you belong to Gujarat and want to check if your name Exists in the CEO Gujarat 2019 Voter List or Not?, Simply follow the steps given.